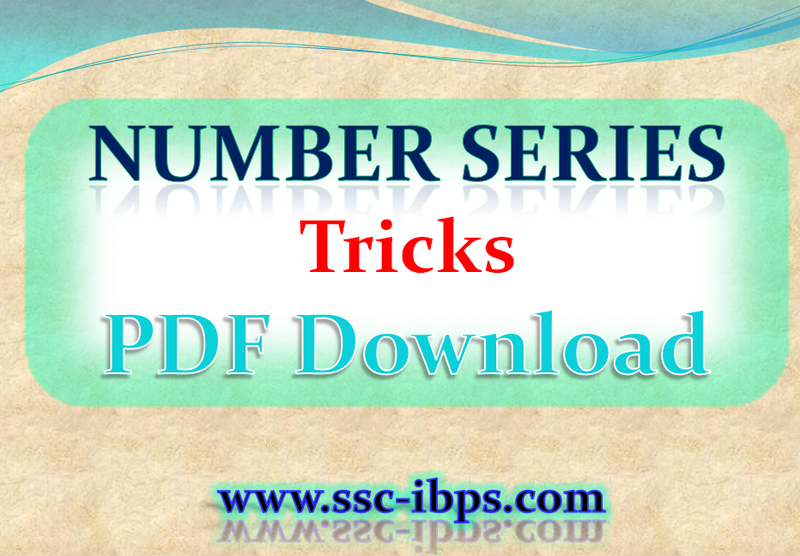 Number Series Tricks PDF Download: Number Series is most important chapter from banking exams point of view. Similar questions are repeated in competitive exams. Short Cut tricks on Number Series are one of the most important topics in all competitive Exams. If you manage time then you can do well in those exams. Most of us miss this thing. We provide some examples on number series tricks in this article. 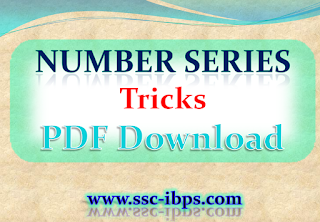 These PDF File cover all sorts of tricks on number series. Number series is a certain sequence in which a certain number(s) are forcibly included in the series or a number(s) may be missing. The numbers need to be observed first and then the missing one has to be inserted as per the pattern. Number series is also one of the important topics asked in bank exams like IBPS PO. Number Series questions are commonly asked in almost every competitive exam. You can only excel in this section if you have ample practice and efforts in this topic. We are provide in this article Important Short Tricks on Number Series Questions which are usually asked in Bank Exams. Use these below given short cuts to solve questions within minimum time. These shortcuts will be very helpful for your upcoming SBI PO & Clerk as well as other bank Exams that will be conducted in 2017. Number Series Section is the most important part in Competitive Exams. That doesn`t mean that other sections or not so important. But if you need in good score in exam, than you have to scored in good marks in Maths Section. Only practice and practice can give you a good score marks. you should do your math problems within time with correctness, and you can do only by using this provided short cut tricks. You may have that potential to do maths without using shortcut tricks. Integer Number Sequences – There are particular formulas tricks to solve number series. Each number series question is solved in a particular manner. This series is the sequence of real numbers decimals and fractions. Number series example of this is like 1.3.5.9….. etc. In which what should come next is solved by number series shortcuts tricks performed by the candidate. Rational Number Sequences – These are the numbers which can be written as a fraction or quotient where numerator and denominator both consist of integers. An example of this series is ½, ¾, 1.75 and 3.25. Arithmetic Sequences – It is a mathematical sequence which consisting of a sequence in which the next term originates by adding a constant to its predecessor. It is solved by a particular formula given by the mathematics Xn = x1 + (n – 1)d. An example of this series is 3, 8, 13, 18, 23, 28, 33, 38, in which number 5 is added to its next number. 2, 4, 8, 16, 32, 64, 128, 256, in which multiples of 2 are there. 1, 4, 9, 16, 25, 36, 49, 64, 81, .. Number Series puzzles can be solved by various tricks provided by mathematics. if all the numbers are prime, even or odd. If all the numbers are perfect squares or cubes. If all the numbers have a particular divisibility. divisions by a particular number or addition of their cubes and squares. Number series methods are teaches by a professional to a student so that number series can be solved quickly and correctly.